This Yale branded British Standard Kitemarked euro cylinder is an ideal high security replacement for all uPVC, composite and aluminium doors. It offers many security features which are listed below, all of which add an extra layer of security to your home. We offer an key cutting service with options for up to 4 additional keys. How to measure your lock! Remove the fixing screw which is located on the main door gear just beneath the latch. Put the key in the lock and turn it 25 degrees clockwise or anti clockwise. The lock should now slide out towards you. Now to measure size (C), measure the entire length of the lock. This should be equal to (A) and (B) added together. 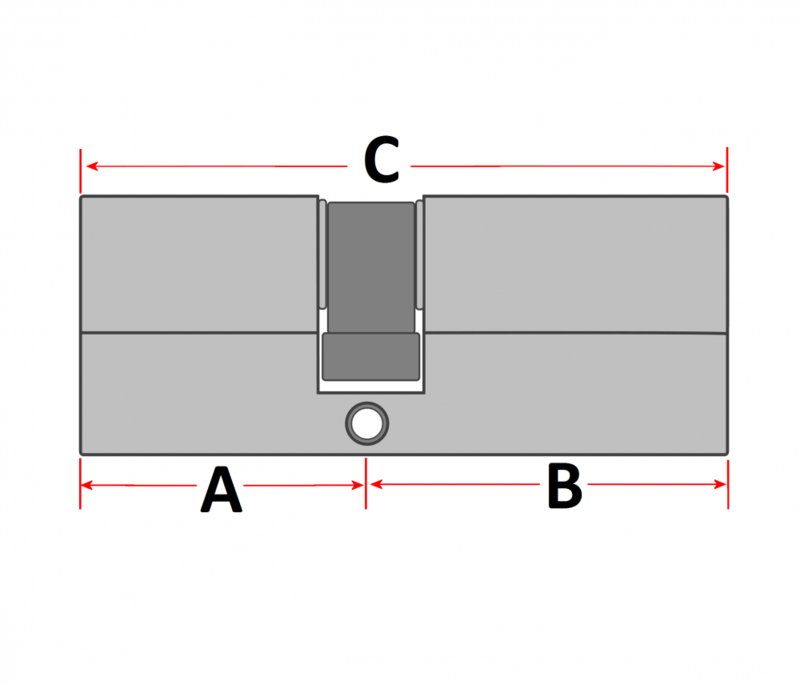 For more help with measuring your lock, please refer to the diagram in the pictures. Alternatively you can contact us using the contact us tab.